Tom Hiddleston returns to the London stage following his acclaimed Hamlet directed by Kenneth Branagh and his Evening Standard Award-winning performance in Coriolanus at the Donmar Warehouse in 2014. 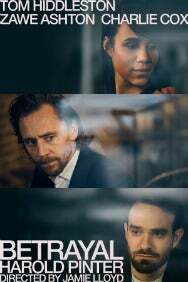 Hiddleston will star alongside Zawe Ashton and Charlie Cox. Pinter at the Pinter is the unprecedented season of Harold Pinter’s work, marking ten years since the Nobel Prize winner’s death. The season celebrates the most important playwright of the 20th century in the theatre that bears his name.